Hi All, i have a P38 Range Rover 2000 v8 Bosch 5.2.1 with no start condition. wrong injection system was fitted but i have fitted all bosch components back onto the vehicle with original harness in tact. No faults exists in engine ecu. 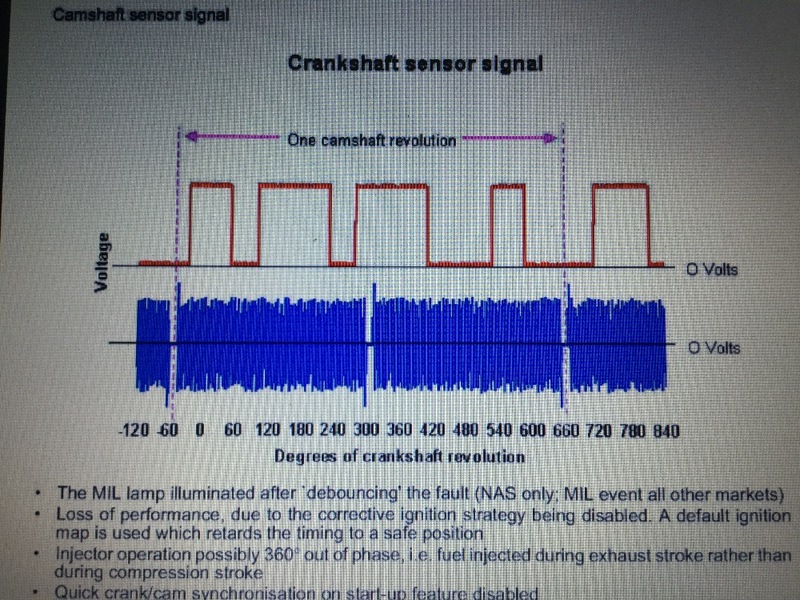 whats been checked is as follows: fuel pressure at 3.5 bar constant when cranking, getting good hall effect cam signal square wave form, getting constant crank signal although thinking the voltage is low at around 1.5v being a variable reluctor sensor. Getting trigger to fuel injector to ground, no1 cyl for my reference with cyl 1 pressure peak, but i think to little trigger for strong spark, all compression good at 8-9 bar. have done relative compression test and 7 are at the spec and one 15% below rest. all injectors tested and is firing. am getting spark but seems slightly weak at around 3kv when checking secondary voltage with Pico 4425. i am suspect that is a timing issue but there are no adjustments. have double checked air gap as per workshop manual. i am now starting to confuse myself in this diagnostic journey on this particular vehicle and its driving me nuts! all adaption values have been reset as per workshop manual when crank sensor gets moved but does not make a difference. I am looking for help and comments on my scoped attachement and guidance from the BEST. I am still novice on the scope but have learnt a stack from starting on this vehicle. Please help! Its been a while - did you sort this out? 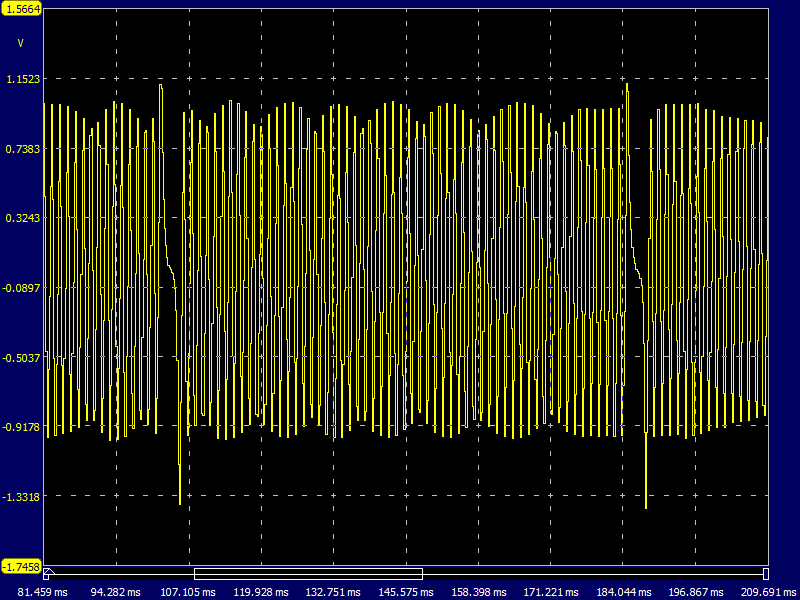 Can someone supply a good known CKP waveform please - I also have this model. It is a 2000 Range Rover with a bosch motonic 5.2.1 ECM. 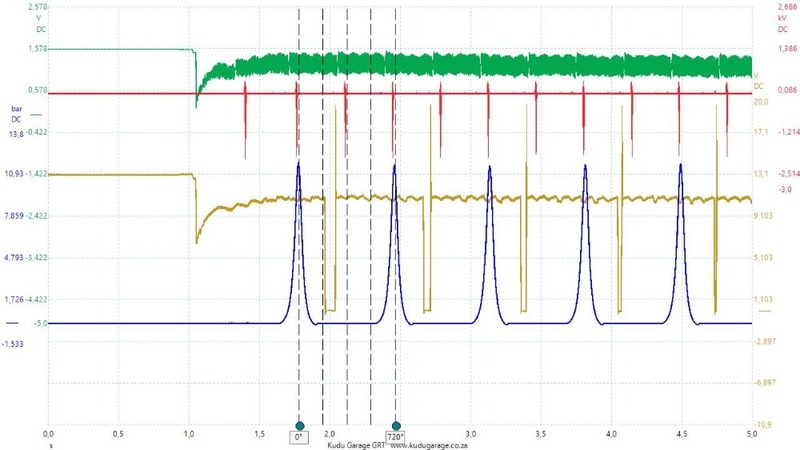 I am attaching the capture for my same vehicle at idle - but I think the amplitude may be low - similar to that of the OP. would be great if someone had a known good to compare. 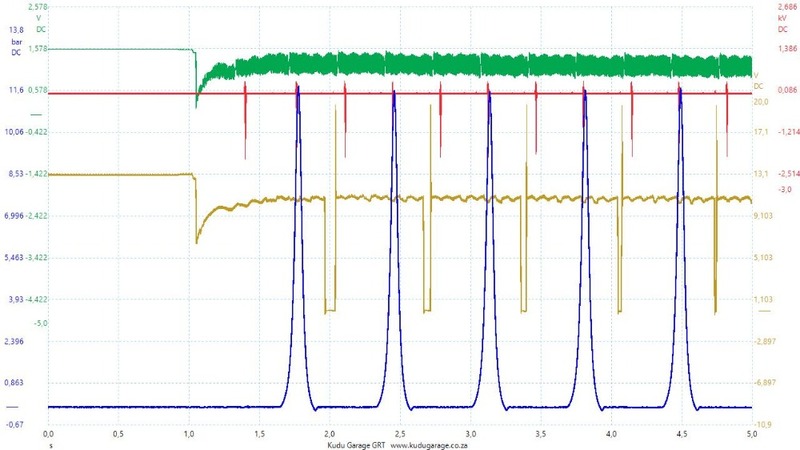 Attached also is the correct CMP CKP relationship from the bosch motronic manual and also the oscillopscope capture from my vehicle which is the same vehicle. 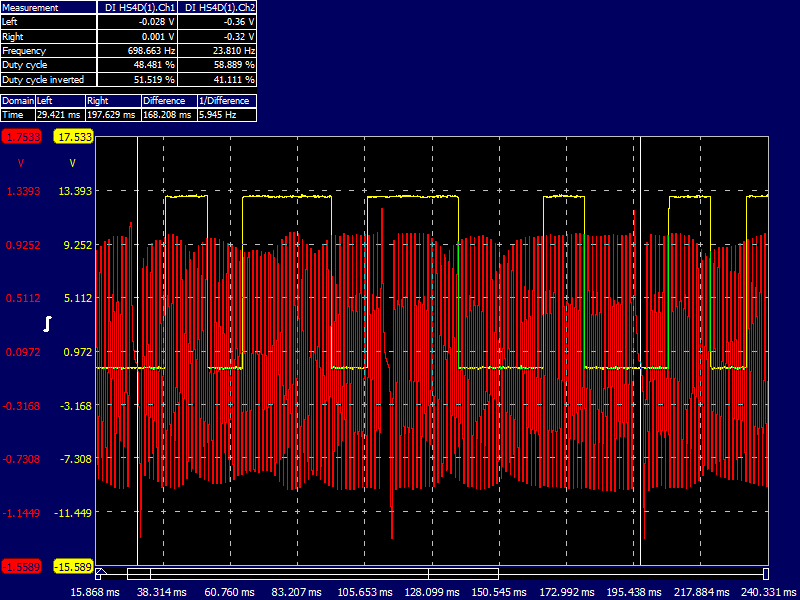 Still someone to post a good known CKP waveform to ensure the amplitude of thus CKP is correct at idle.